In 1990 Ron and his wife Jamie, bought their first vineyard and in 1995 McManis Family Vineyards was formed with the purpose-built winery arriving by the end of the Millennium. 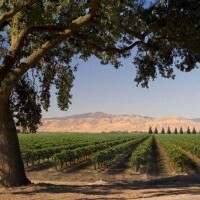 Now the McManis family own over 2,600 acres between the Ripon area and Lodi in California’s northern interior region. The Chardonnay from McManis Family Vineyards has a vibrant hue, and is light straw in colour. The nose of the wine is a beautiful blend of pear, peach, lychee and tropical fruit. Notes of vanilla and toast are contributed from French oak aging. A richly textured offering of melon, pear and pineapple flavours on the palate with a long finish and well-balanced acidity. Delicious served alongside creamy pasta dishes or roast chicken.